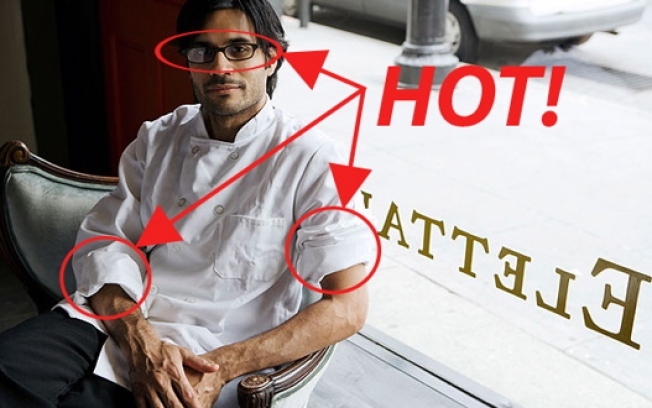 Round One of our Hottest Chef in New York contest continues today. Yesterday, Bobo's Patrick Connollybeat his competitors and will move on to compete in round two. Today, more voting! Elettaria's Akhtar Nawab goes up against Shea Gallante, John Fraser, Susur Lee, and Dan Barber. (Recall that a special panel of experts have seeded the 45 chefs in this competition and in the first round top seeds face-off against the bottom of the barrel.) For a look at all 45 contenders, see the gallery here. May the hottest chef win.